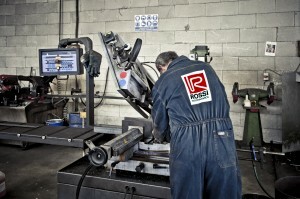 Why choose us - Rossi Oleodinamica S.R.L. We have been on the market since 1974 and for almost 50 years have been working in close contact with those who actually use our equipment. We were the first to design a hopper on a three-wheeler. We were the first to design a mini-compactor on a 3500 kilo truck. We will be the first to cater to YOUR request and solve YOUR problem. Unlike most manufacturers of waste collection vehicles,we specialize in one thing only:small and medium-size vehicles. We too could build compactors on three-axle trucks, provide collection management services,make bins and offer a rental service, but we don’t. We do not want to disperse our energy and our knowledge by trying to do everything. Each vehicle has its own features and its production and design dynamics. By focusing on a limited number of products we can satisfy your needs in the best way possible. You’ll have a vehicle which is truly functional for YOUR job. In the countries of northern Europe, it is not the price that counts; what matters is safety and reliability. Our vehicles have all it takes to compete on this market and for this reason, in 2011 we acquired an important trading partner. Geesinknorba, the largest European manufacturer of waste collection vehicles, has included our small and medium-size vehicles in its product catalogue.Our vehicles are not only available in Italy, but worldwide. Our vehicles are built to last. We’ll never leave you stranded and you’ll have all the reliability of a vehicle that will work for you all the time you need it. Our spare parts service is so efficient that you’ll have your replacements in 24h *. In addition, we can also find replacement parts for very old vehicles. 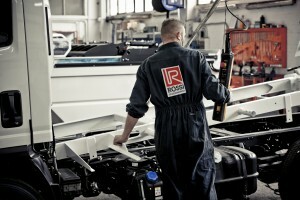 Vehicle design and assembly is doneentirely inside our company. This gives us full control ofthe work cycle, with no surprises at the end. Of course, the only thing we do not design and assemble is the chassis, but our network of contacts enables us to keep everything under control, whatever the problem. Everything is managed transparently. Everything is clear and concise. A guideline that enables us to come up withbeautiful and functional solutions, but which arealso easy to manage, reliable and easy to maintain. We’ll enable you to do YOUR job efficiently, safely and in an economically sustainable way. We like to experiment and constantly put ourselves to the test. Being able to solve your problem is our primary mission. The research and experimentation stage is a source of growth for us; It is what has guided us since we were first established. We can cater to all your specific requirements; you will be involved in product development andresearching the most effective solutions. You’ll have a unique and specific product for YOUR needs. * Some parts may take longer to deliver.